Includes: Pro 1000 Press, Dies (Pistol calibers include Carbide 3 die sets, Rifle calibers include Pacesetter 3 die sets including rifle charging die), turret, shell plate, Pro Auto-Disk powder measure, double disk kit, case feeder, and priming system. 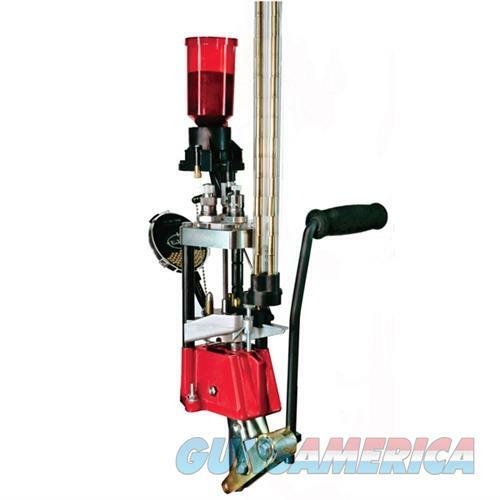 Standard unit does not come with Turret, Shell Plate, Powder Measure, Dies & Case Feeder. Unit only accepts the Lee 3 Hole Turret. CCI & Remington primers are the only Lee approved primers to be used in these Pro 1000 Presses.